stampwithamber - Amber Meulenbelt, independant Stampin' Up! demonstrator: Online Extravaganza Nov 19-28! In addition, there will be three products offered for 20 percent off for 24hours only on both the first and last days of Online Extravaganza! 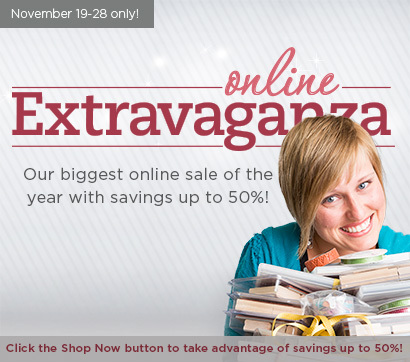 Click here for the full list of sale items!